Meet a new state of the famous thrilling first person shooter - PARANOIA is released now as a stand-alone game, using a power of Xash3D Engine. You can now just download it, install, and play - without a necessity to perform any additional actions or have any additional resources. This release was created with a permission from BuZZeR, the main developer of PARANOIA. It doesn't contain any gameplay changes in comparsion with original PARANOIA mod, but it's now stand-alone and also can use all advantages and conveniences of Xash3D Engine. For example, it will be a bit simplier now to create easy installable mappacks or mods for PARANOIA without a need to include with them any duplicated files from initial game or copy their files over it. The offered installer contains two versions of the game localization - Russian and English. You also will be able to install some more suitable graphic files for wide-screen monitors (with a screen aspect 16:9, or close to this) if you own such one. This release is a pretty simple port of original PARANOIA mod v1.2 for Half-Life to Xash3D Engine. 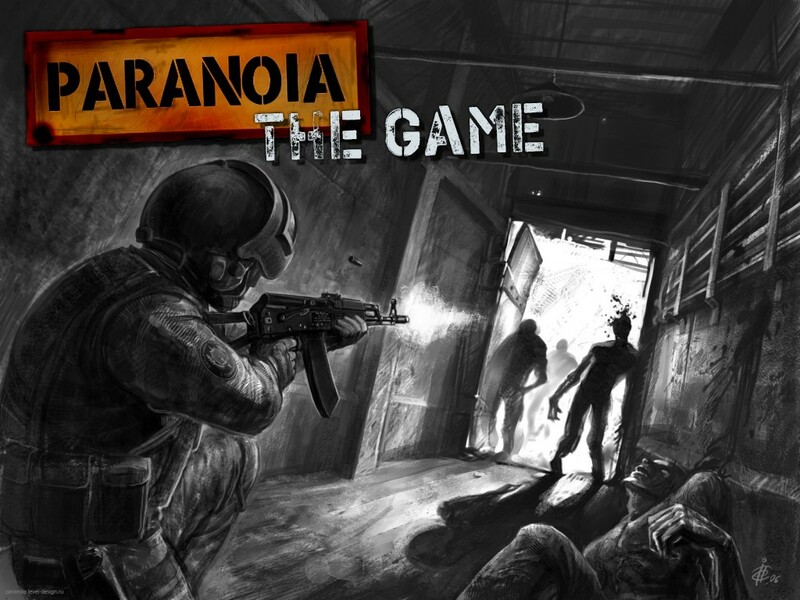 It allows you to play PARANOIA as a standalone game right after installing. 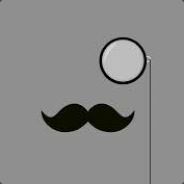 All required resources are provided with the game, Half-Life or even Steam are not needed. Xash3D Engine (build 2664) used here is a powerful experimental open-sourced clone of GoldSource Engine (original Half-Life game engine) that allow you to play many of already existing Half-Life mods (foremost singleplayer ones) with a new quality of gaming experience, and also it makes possible a creating of new games and mods with a lot of exclusive and exciting features, which are not avaliable for usual GoldSrc mods. This product is provided as it is, without any fees or warranties. All contents of this product are property of their respective owners. It is not a commercial product, and intended only for personal reference and educational purposes. Please, support developers and buy original Half-Life if you like this game and hope to play more good games in the future. Also don't forget to find more information about PARANOIA and Xash3D Engine. Your interest and support are very important for independent developers too. VALVe Corporation and all Half-Life Team. PARANOIA TEAM and personally BuZZeR. Xash3D/XashXT Team and personally Unkle Mike. Same as for original PARANOIA mod. Your video card should support OpenGL. Also, the game is most stable with Windows XP because PARANOIA's code was initially optimized and tested to work only with this OS. Using of newer versions of Windows can cause unstable work of the game in some cases. Unfortunately, there is no surefire solution to fix this problem now. But you can try to use a compatibility mode for paranoia.exe as a possible method. At the first time the game starts in the windowed mode with low screen resolution (800x600). Check the "Configuration" menu to change default settings to that you prefere. Most settings of the game are the same as for original Half-Life (including console commands and command line parameters). Please note, that it's recommended to restart the application after changing a screen resolution before you launch a game (otherwise you will get a bug with freezing of the game when you try to read diaries). For information about exclusive and advanced Xash3D's features please refer to included Xash3D's documentation (look for it in "docs" folder inside of the main game's directory or check online sources of information). - New HUD for game menu and console. - Background screens with using of "living" parts of game maps (if you prefer to have a classic static background, then delete paranoia\scripts\chapterbackgrounds.txt file). - With Xash3D Engine it's absolutely safe now to use a modified opengl32.dll, which is required for new PARANOIA's visual effects (with Steam you might be VAC banned for this). - Thanks to Xash3D Engine it's possible now to use for game models and maps full-color high-resolution textures, up to 4096x4096 pixels (it's a potential possibility, such textures themselves are not included in the game's files). - Added a pack of player's models (just in case, there is no multiplayer mode still) by OLAF - PARANOIA ALPHA CT PACK REANIMATED (HLDM VERSION). - Updated files of the game engine up to version 0.96, build 2664. - Default value of fps_max parameter is limited now by 100 frames per second (to avoid problems with animation of monsters and NPCs). - Levelshots (loading screens) for background maps of the game menu are removed from installation files (new version of the engine automatically creates optimal levelshots separately for common and widescreen display modes). - Gamma.dat file is removed from installation files (it must be automatically generated by the engine to include personal values of desktop gamma settings). - Game may crash randomly without any apparent reason. It's an initial problem of "Paranoia". Save your game often to do not lose your progress (however, there also present autosaving points too). - If the game crashes to the desktop by any reason, you can experience a problem with changing of the system gamma to those parameters which were set in the game before. To restore system gamma to previous values you just need to start the game once again and quit it normally. The gamma will be restored automatically. Also, you can open opengl.cfg file in "paranoia" folder and change gl_ignorehwgamma parameter to "1". So the game will not affect system parameters of the gamma at all, but a range of changing the gamma in the game will be significantly reduced. - In certain cases you can encounter an effect of fullbright models, i. e. some game models can look entirely lit, even if there is no related source of light. Unfortunately, a cause of this bug is unknown yet and there is no proven solution to fix it. Supposedly, it can be caused by some specific video cards' features or video driver settings. - Your teammates may sometimes "freeze" in a process of opening a door. This can be caused by inappropriate limitation of the frames' refreshing rate. Too high FPS values also can cause an effect of wrong moving animation of monsters and NPCs. So it's not recommended to change a specified value of fps_max limit parameter (it also may be altered by enabling of a vertical synchronization option). Optimal tested values of fps_max for the game are 60 or 100. - Digital sound processing option (DSP effects) - it's an experimental feature in audiosettings of Xash3D. If it's enabled, you may hear some sounds in any point of a current map, ignoring an actual distance to them. would be cool to see a video of it in the new engine. In fact there are no significant visual differences (except of some new game menu features), just a bit more smooth and clear rendering and a bit far objects' rendering distance. Advanced rendering features will be brought with an upcoming release of PARANOIA 2: Savior. It's expected, that after this people will be able to play first PARANOIA with most of those new features too. At least this was in initial plans of PARANOIA 2 developers. Does All The Console Commands Work in This Standalone Version? Like Impulse 101 & Weapon Cheats? Cause Cry of Fear Didn’t and I Was Disappointed. Yes, they do (if you remember how to enable cheats in Half-Life). Are the previous translations compatible with this? Yep, they should be (but I didn't test this). Explain, what does it mean, please, if it's really a significant problem. Well, Paranoia can run quite unstable on some PC / operation system configurations. There are two ways for you: 1) experiment on your own with settings in config.cfg / opengl.cfg in "paranoia" folder (you can edit them manually or via in-game console; most parameters can have a value of "0" - disabled, or "1" - enabled); 2) remove opengl32.dll from the main game folder (this will disable some visual enhancements, like bump etc., but potentially should make the game more stable). You can also try to update your drivers / OS. This is theoretically possible, but I don't know anyone who really can do this. this is same mission ? Delete video.cfg file from "paranoia" folder and set a proper screen resolution that suits your display. Don't set those resolutions which are not supported by your monitor. Also don't forget to restart the game before you begin to play after changing the resolution. And what i have to do when there is no 1600x900 option? Hmm, this should be fixed (no one reported about this problem earlier)... You also can use any other resolution supported by your monitior, fullscreen or windowed. You don't need to have HL to play The Game Edition. But the support of OpenGL is essential. I love this versiom amd I think it's a great idea. But I have some issues with it, for instance I can't use machineguns on the ground and the game in some scenes lags for me. Like after the shooting range when the alarm goes off the game just stops and the last sounds played repeat in a loop. This continues to happen in driving scene after the military base. Those crashes are always random. Unfortunately, nothing can be done with them without code's rewriting... Just load your last save and continue. Actually its may be because of the fmod.dll on paranoia folder. Because mine are same, but when picked fmod.dll from hl mod blackguard its perfectly fine. Thanks for the tip, I'll try to test that. Beautiful game, loved it on Goldsrc, love it now. One of my favorite mods of all time. Open "paranoia" folder inside the main game folder (where you have installed the game) and delete video.cfg file. Then launch the game and choose the right resolution for your monitor. To play in fullscreen mode uncheck "Run in window" flag in Video options. Don't forget to restart the game after changing the resolution before you begin to play. If you can't install Paranoia standalone you can try installing the HL version. Crashes are the same for mod and for standalone version. It's initial Paranoia's problem, not an engine issue. So, where is the problem for you? The Game Edition is not intended to be installed in Steam version of Half-Life (as original PARANOIA mod). It's a stand-alone game based on Xash3D engine that doesn't use Steam or VAC anyhow. So you will NOT be banned. The new flashlight spot and projected lights like that don't work for me. Is that a regular issue with this, or is it just me? Just put new dll-files in your main game directory, overwriting the old ones. Yep, it's my graphics card. I tried all of that. In fact, one of the first things I tried was using the latest build of Xash, I also tried manually messing with the variables in opengl.cfg, and tried another mod that uses Spirit's projected flashlight, Mistake -1, running on GoldSrc. Nada. I just happen to have a particularly crappy Samsung lapop, which didn't actually support OpenGL at all until a year after I bought it. It definitely wasn't worth its cost.